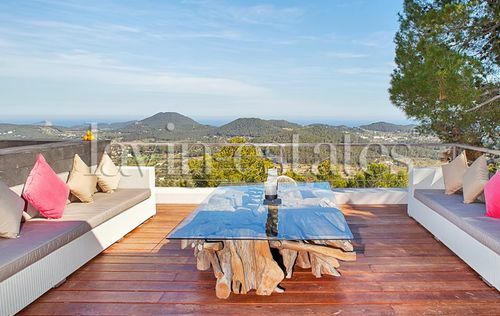 This idyllic located luxury residence is situated in close to San Carlos and enjoys a spectacular view over the landscape and the open sea up to Formentera. 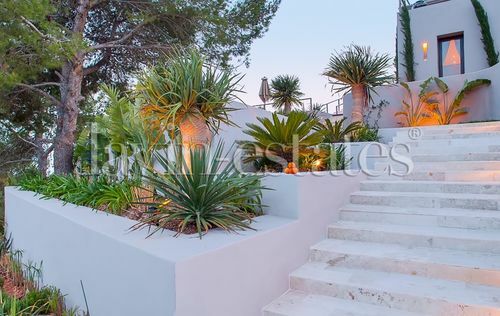 Set on a plot of a 33.000m2, the villa has a living space of 600m2, several open and covered terraces, a lovely sub tropical garden as well as a fantastic pool area. 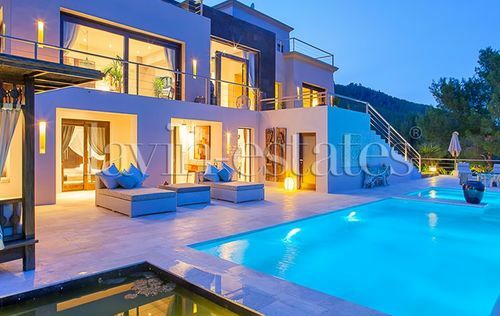 The living area of the villa is divided into a generous living room, a dining room, a modern fully fitted kitchen, a studio, eight bedrooms as well as nine bathrooms. 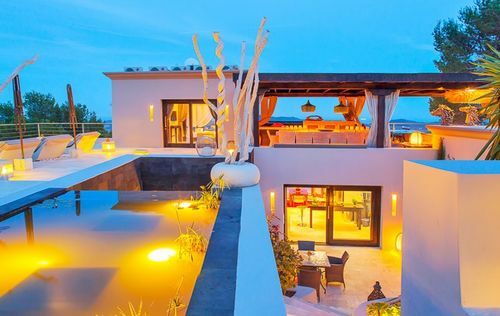 Nearly all rooms have access to a terrace and/or the fabulous swimming pool and the several lounge areas. 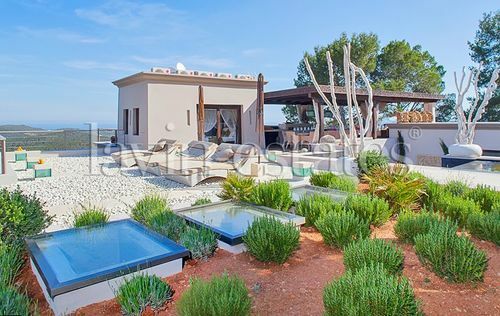 The exquisite features and fittings of this villa include reversible air condition, under floor heating, central heating, electrical gate, automatic garden irrigation system, alarm system as well as a patio and several parkings. In the direct neighbourhood there are numerous beautiful sandy beaches.